September is National Ovarian Cancer Awareness Month. Will the White House be lighted in teal just as it’s been lighted in pink to commemorate National Breast Cancer Awareness Month? Will grocery stores line shelves with teal ribbon products? Will schools give out teal t-shirts or pins? Probably not. Pink has been the color of choice when it comes to cause support. Even as the sister of breast cancer (i.e., in 5 to 10 percent of cases both breast and ovarian cancer have a connection to mutations on the known breast cancer genes, BRCA1 and BRCA2), ovarian cancer garners relatively little public support or attention. Some people don’t even know that disease-specific ribbons besides pink exist. Nan Hart wrote on the discussion board of the Ovarian Cancer National Alliance (Sept. 19th) that after her daughter got a teal ribbon tattoo on her wrist, one of her daughter’s coworkers asked why her breast cancer ribbon wasn’t pink? Umm… Because it’s not a breast cancer ribbon? The assumption that one ribbon, the pink ribbon, the mother of all ribbons is the baseline of social support for cancer is indeed a huge assumption. In the coworker’s defense it just shows how well pink marketing has worked to create the association. Awareness messages aside, millions of people buy, display, consume, and think pink. 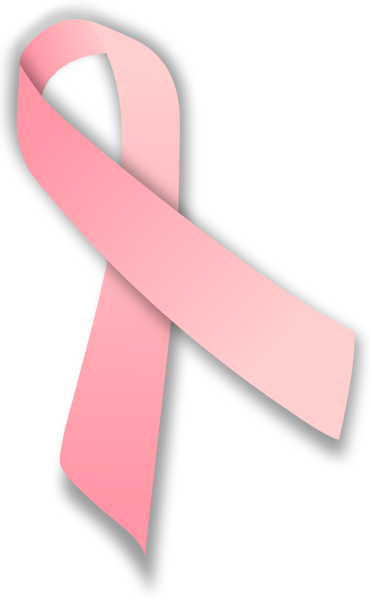 Image Credit: “Pink Ribbon”, created by MesserWoland, CC by SA 2.5, via Wikimedia Commons. An article in Marie Claire on the “Big Business of Breast Cancer” points out that, “Some $6 billion a year is committed to breast cancer research and awareness campaigns,” making it a “gold mine for pink profiteers and old-fashioned hucksters.” Kudos to Lea Goldman for pointing this out. Yet, for those who are working to provide information, support, and resources for other types of cancer, this story isn’t “news” at all. One woman commented on the Ovarian Cancer National Alliance discussion board that she went into a ‘Bed Bath and Beyond’ this month and the first thing she saw was a breast cancer “awareness” display of pink products. “Where the education or awareness was,” she said, “I don’t know, but they’re certainly making a lot of money.” Another commenter contacted various media outlets to encourage reporting about ovarian cancer during its September awareness month. Apparently they “seemed uninterested.” Pink publicity, on the other hand, is now a year-round activity, and the related products? Many of them are around all year too. I wish The Carcinista were here today to comment on Pinktober 2011. She died this spring after 5 years of treatment for ovarian cancer. Is the heightened attention to breast cancer just a matter of numbers? The total number of people living with cancer (i.e., cancer prevalence) was estimated in 2007 to be 6.4 million. Of these, 2.6 million were living with a breast cancer diagnosis and 177,000 were living with a diagnosis of ovarian cancer. That’s a lot of people walking around with breast cancer. However, cancer prevalence is affected by both the incidence of a cancer and how long people normally live with the disease. Those with ovarian cancer tend not to live as long after diagnosis compared to those with breast cancer. The National Cancer Institute reports that although the incidence rate for ovarian cancer has declined since the mid 1980s, it remains the fifth leading cause of cancer-related death among women in the United States. The Centers for Disease Control reported that in 2007, there were 20,749 women diagnosed with ovarian cancer, and 14,621 women died from the disease. It’s hard to get the word out and advocate for the cause when so many are dying from the disease. The same could be said of those with metastatic breast cancer. Image Credit: “Teal Ribbon”, created by MessrWoland, CC by SA 2.5, via Wikimedia Commons. With so many people being diagnosed with breast cancer, stage zero and invasive types included, the advocacy and consumer bases for breast cancer are huge. Compared to the more than 1500 non-profit organizations dedicated to breast cancer, there are about 150 in support of ovarian cancer. That’s easily 10 times the advocacy/education/visibility of those working on ovarian cancer, and in the breast cancer arena the mega charities hold the greatest power of all. Pink events in cities across America from pub crawls to races call attention to breast cancer, demand media attention, raise funds, engage political leaders, shape research, and saturate the culture. The plethora of pink products spread the message of pink importance even further. How could smaller constituencies stand a chance? When in comes to research, Dr. Elise Kohn states that, “There is no question that ovarian cancer is under funded and under represented in the scientific and medical communities.” The National Cancer Institute’s investment in ovarian cancer research increased to $110.1 million in FY 2009, up from $97.7 million in fiscal year FY 2005. The institute also supported $16.2 million in ovarian cancer research in FY 2009 using funding from the American Recovery and Reinvestment Act. [In comparison, the National Institute of Health spends more than $700 million per year on breast cancer research, and the Department of Defense Breast Cancer Research Program has allocated about $2.5 billion to peer-reviewed research since 1992.] Despite this situation, Dr. Kohn states further that, “there has been an exponential and explosive growth in knowledge and treatment benefits for ovarian cancer over the last decade.” Yet, the difference in research agendas and allocations and within and across different types of cancer may also reflect differences in levels of advocacy, publicity, and political will. This sounds reasonable to me, and I hear the same sentiment from cancer researchers frequently. A clear example would be drugs for those with breast or ovarian cancer who have mutations on the BRCA1 or BRCA2 genes that inhibit an enzyme called PARP (i.e., Poly (ADP-ribose) polymerase). Inhibiting this enzyme seems to disrupt chemotherapy resistance in cancer cells. Win-win, if it works. Unfortunately, the overwhelming festivity and consumption that surrounds the pink cause has created a situation in which the torch for the disease olympics has already been lit. In the race for one cause, pink consistently gets the gold medal. Everyone else struggles not just for a place on the podium, but to be heard all. This article first appeared at gaylesulik.com. Featured Image Credit: “Cancer, newspaper, word, magnifier”, Photo by PDPics. CC0 Public Domain, via Pixabay. Gayle A. Sulik, Ph.D., is a medical sociologist and was a 2008 Fellow of the National Endowment for the Humanities for her research on breast cancer culture. 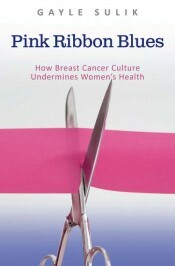 She is author of Pink Ribbon Blues: How Breast Cancer Culture Undermines Women’s Health. You can read her previous OUPblog posts here and learn more on her website, where this article originally appeared.